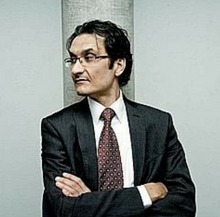 Arturo Bris (IMD Business School, Switzerland) is a professor of Finance at IMD, has headed IMD’s world renowned World Competitiveness Center since January 2014 and also directed IMD’s Advanced Strategic Management programme from 2009-2014. His research and consulting activities focus on the international aspects of financial regulation and in particular on the effects of bankruptcy, short sales, insider trading and merger laws. Bris has also researched and lectured on the effects of the euro on the corporate sector, as well as on the valuation impact of corporate governance changes. Bris is passionate about global competitiveness, financial development and macroeconomics. Bris ranks among the top one hundred most-read finance academics in the world. He graduated in law and economics from Universidad Autónoma de Madrid and received an MSc from CEMFI, Foundation of the Bank of Spain and holds a PhD in management from INSEAD.